Tamara started with the Boise Highlanders with her sisters back in 2005. Tamara was originally drawn to the sport through the love of Scottish culture and connecting to her own ancestry. 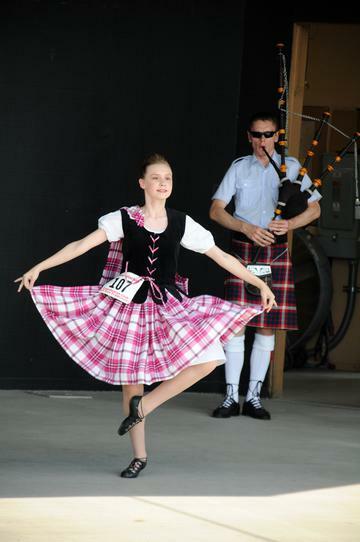 Since then her love for dance has grown, Tamara has competed in Highland dancing in the Northwest, studied with world champion Highland dance teachers, and explored ballet and swing dancing. She would love to continue exploring different forms and histories of dance. 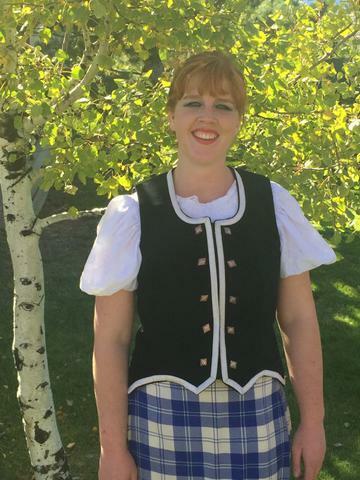 Tamara is pursuing her Highland dance teaching certification through the British Association of Teachers of Dancers alongside her studies at Boise State University, where she is majoring in Mechanical Engineering with a Leadership Studies and Human Resources certificate. Tamara is the Dance Lead teacher for the Boise Highlanders, and loves to teach and coordinate the Dance Corps. She loves the Boise community and Scottish culture, and plans to continue performing for a long time to come! Aodhán’s background in dance began with his Native American Heritage, and growing up dancing in the Pow Wow arena. He failed epically at the highland games in his early 20’s but in October, 2017 he decided to try his luck at Highland Dancing to honor his Scottish heritage. His Grandfather’s side of his family has been living in Idaho since 1887 and he isn’t planning on leaving anytime soon. He sports a large white rat on his Coat of Arms, enjoys horse archery, reading and spending time with Dexter (his little dog). Ever curious, he is always up to something new and pressing the uniform Dress code to the limit, as well as Tammy’s patience. He took a taxidermy apprenticeship in his early 20’s and makes his living as an artist. Aodhán takes dancing very seriously but has never been much of a competitor. He is a student of history he will talk your ear off about the commonalities of Highland and Native American culture and insist you visit his museum-like home just to try on an authentic beaver fur top hat from the 1800’s (just so you can understand what exactly drove America’s historic fur trade that lead his Scottish Ancestors to meet his Native American Ancestors). …. *sigh*…Ladies and gentlemen…. The Sherlock Holmes of the Dance Corps. Mychal started dancing at age 3 taking a variety of dance classes. 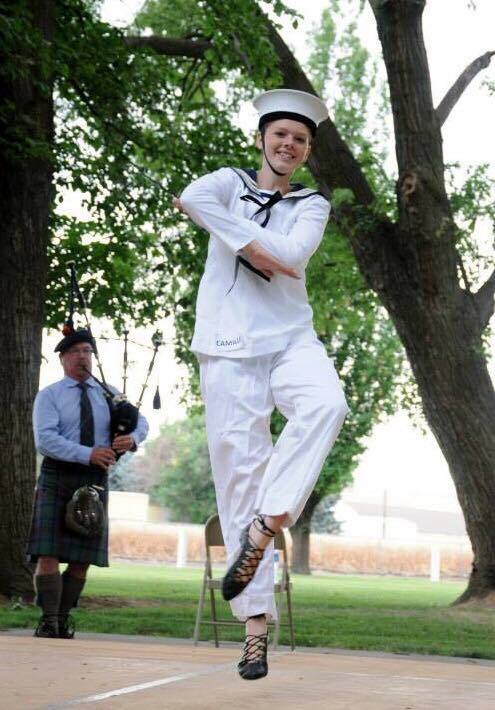 When Mychal’s Father got transfer orders to US Coast Guard Station Bellingham, WA, it was there her parents discovered Scottish Highland Dance. She started studying and competing in the style in 2000. She competed and performed throughout the Northwest and British Columbia. 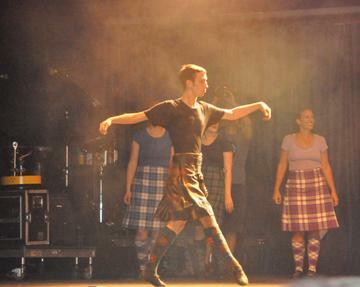 Mychal retired from competitive Scottish Highland Dance at age 16. However, she still continued to study ballroom, latin, and swing dancing until moving to Boise for college. In early 2017, Mychal came out of retirement and has been with the Boise Highlanders since March 2017. 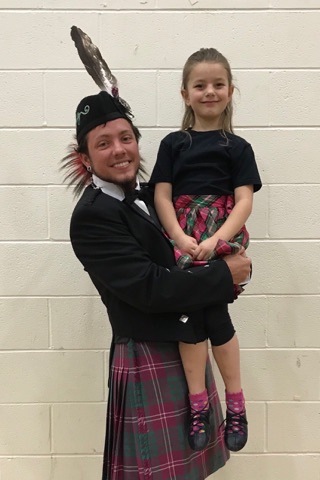 Mychal has recently been appointed Dance Sergeant, and enjoys the opportunity to teach other dancers within in the band, as well as performing and sharing her love for Scottish Highland dance with the audience. Mychal is a certified teacher under the British Association of Teachers and Dancing (B.A.T.D.) as of June 2018. She is one of two certified teachers in the state of Idaho! and supporting the dancers in any way she could. After years of standing by, she decide to embrace her love of dance and performance and add another hobby to the list. Amy originally joined the Boise Highlanders in the late 90’s. She danced for a few years then took a 12 year break for school and work outside Idaho. She rejoined the band in 2013. She enjoys dancing and teaching new students. Brian remains one of the more experienced of the group despite his recent appearance within the Boise Highlanders. A Wisconsin native, Brian holds more than ten years of competitive dancing in his long list of skills. Camille began dancing in 2005 alongside her sisters. She loves connecting to her Scottish heritage through dance. She has danced competitively and has trained under world champions. Recently she has been entertaining the concept of majoring in dance professionally. 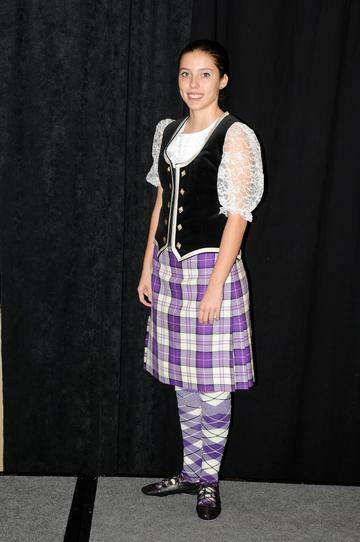 Camille is a Dance Sergeant and enjoys teaching Scottish dance within the band. She loves performing with the band and hopes to continue for many years to come! Daphne began dancing at the same time has her sisters Tamara and Camille (approx 2005). Though no longer a Boise resident, she never misses a Burns night performance! Natasha has been dancing since approx 2007. She's also recently begun teaching some of the newer dancers within the group. McKenna has been dancing with the Boise Highlanders since approx. 2013. I started dancing because my mom is a piper in the band. I had gone a long to watch my mom perform with the band for many year, and always thought the dancers were really cool. I finally joined the dance corps in October of 2013. My first performance was Burns Night 2014. I really enjoy learning new dances, but I enjoy performing the most because I get to spend time with my friends. Nikita has been studying ballet, jazz and contemporary at Ballet Idaho since the age of 5. Under the direction of Peter Anastos, Nikita performed for the eighth year in Ballet Idaho's production of the Nutcracker in 2017. 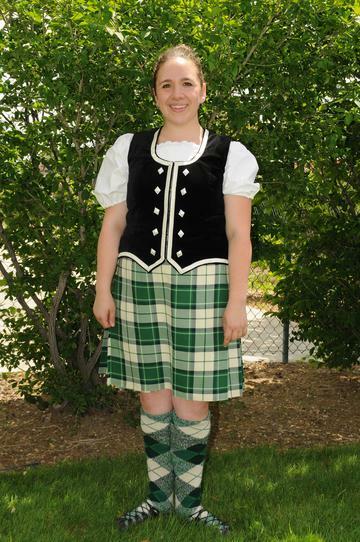 Nikita's exploration of Scottish Highland Dance began at the age of 8 when she joined the Boise Highlanders in 2013. 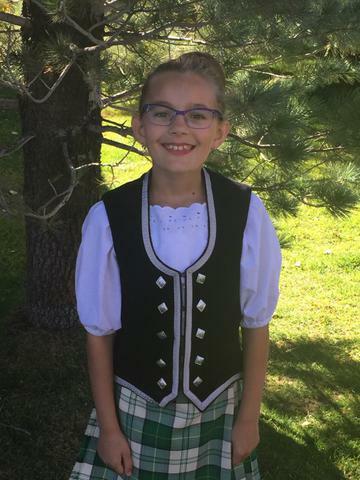 Her formal training in Scottish Highland Dance is under the direction of Fred DeMarse, Fellow of the British Association of Teachers of Dance (BATD) and the San Jose School of Highland Dance. Nikita also competes at the championship level in Highland Dance Competitions, Championships, and Premierships in the US and Canada. In 2017, Nikita was invited to perform in the closing ceremony of the Caledonian Club of San Francisco Games/Western Region Open Championship. Nikita loves sharing her passion for dance and Scottish culture with audiences where she strives to combine precision of movement with graceful musicality. Her favorite dance is the Blue Bonnets Over the Boarder which allows her to combine the clear technique of highland dance with the artistry of ballet. 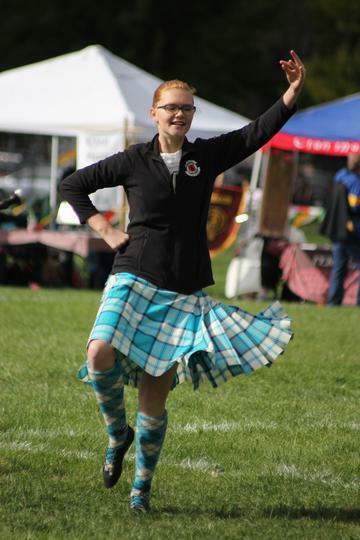 Isobel joined the Boise Highlanders dancers in October 2014. 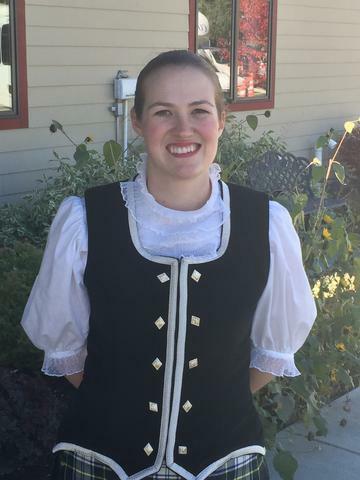 She took a year's hiatus in 2015 to focus on other things, and returned to the Boise Highlanders in summer 2016, earning her kilt in March 2017. Isobel loves the bagpipes, and enjoys dancing with the pipers. 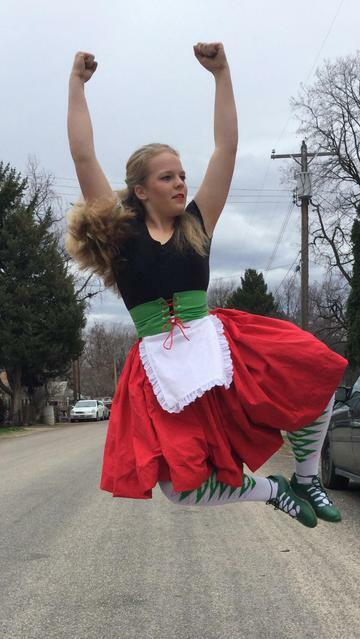 Isobel is also an active Irish dancer. Outside of dance, Isobel enjoys reading, swimming, music, coding, and Girl Scouts. She recently started studying aerial acrobatics as part of her busy school schedule this year. Megn danced before she could talk, and she spoke early! 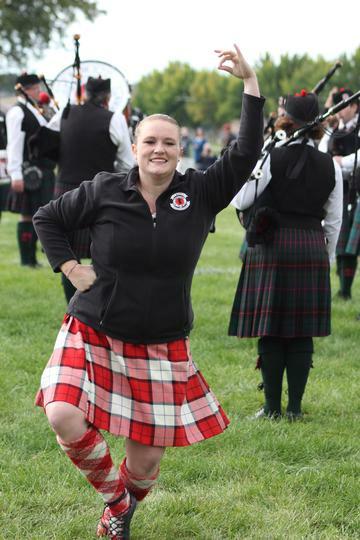 Megan joined the Boise Highlanders in October 2014 and earned her kilt in November 2015. She continues to be the youngest performing member of the band, and has never turned down an opportunity to perform. 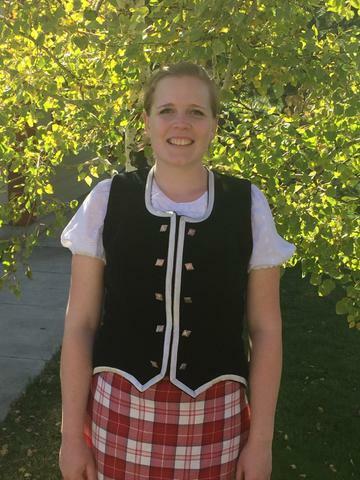 Her highland dance instruction is under the direction of Fred DeMarse, Fellow of the British Association of Teachers of Dance (BATD), and she is an active competitor in addition to performances with the Boise Highlanders, with other dance groups and independently. She is already working toward her teaching certification in a few years. Megan studies and performs in multiple dance genres, including ballet, lyrical and jazz, and has recently been selected to join an audition-only competitive team. She is dedicated to improving her overall technique and skill, with particular interest in how these connect between the different disciplines. In addition to dance, Megan participates in orchestra, robotics team (part of the First Lego league), book club, and Girl Scouts, and fills her free time with reading, drawing and animals.